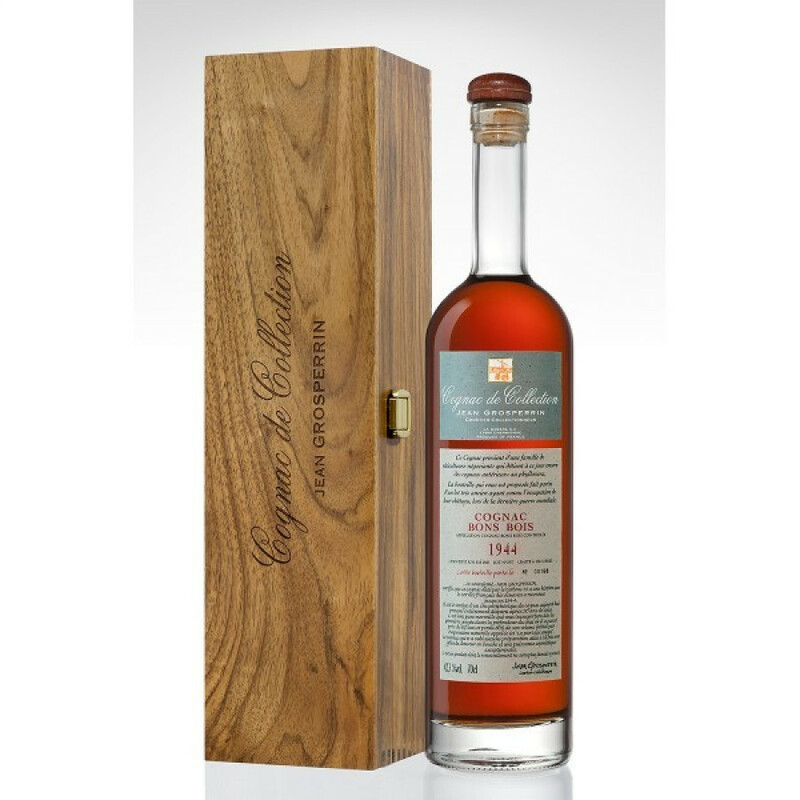 The Grosperrin Millesime 1944 Bons Bois Cognac is a truly uber-special delight. The eaux-de-vie was provided by the family property of the Cognac merchant who sold it to Grosperrin, having remained in the same family for some six decades. It was storned in its original location - a huge, paved cellar, until it was transferred to goverment controlled cellars in 1999. The origina owner's chateau was occuped by the German Wehrmacht, and because the archives were dispersed at the end of WW2, it's impossible to prove that it dates to pre-1944. However, while the end of the war brought around widespread pillaging by occupying forces and local inhabitants (as well as the murder of one founding members of the family business), certified photocopies of the original documents provide powerful traces of the history of this Cognac. In addition, carbon dating has confirmed this futher. Not only will the owner of such a Cognac have a treasure to drink, but in addition, a real piece of history.